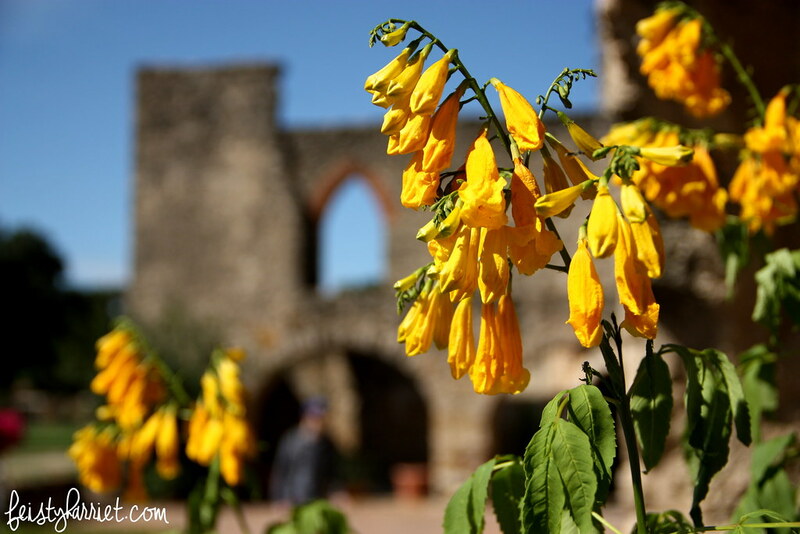 The Mission Trail in San Antonio consists of the five early missions that have since been swallowed up by the city. Some of the old churches are in better shape than others, and some were more extensive in the first place. Blue Eyes and I spent a Sunday morning wandering from one to the other, checking out the ruins, peeking in the chapels and standing in awe of the architectural feats accomplished during the 1700’s in the middle-of-nowhere Texas. 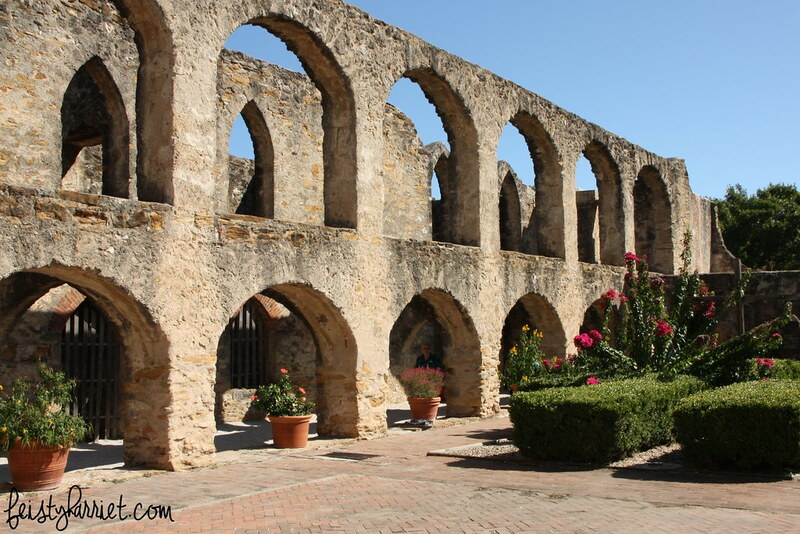 After The Alamo with it’s memorial flowers and altars and hundreds of people milling about, I was surprised that Mission Concepcion was so different. We arrived just as Mass was getting out, and seeing families chatting and kids running around the lawns seemed so…normal. This building in old and weathered, and I was both surprised and delighted that–despite it’s National Monument status–it is also just a regular cathedral for the devout people nearby. 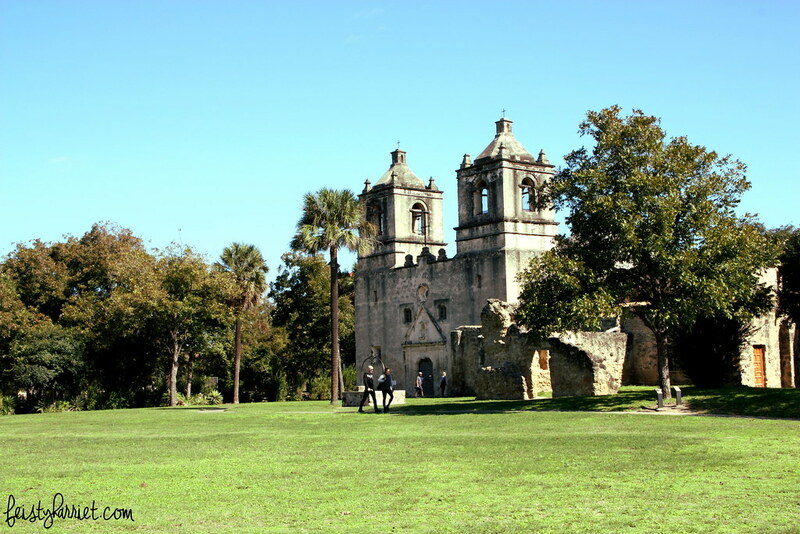 Called the “Queen of the Missions” this cathedral was by far my favorite. I think it is the largest, and has these amazing arched extensions around the main church with gardens and flowers all over. I mean, really. How can you not be totally charmed by this place!? Mass was happening while we were visiting, so we didn’t poke our heads inside at all, but we wandered around for almost an hour, admiring the stonework and the sheer size of the building, and me patiently(ish) waiting for the crowds to clear a bit so I could get the photos I wanted. 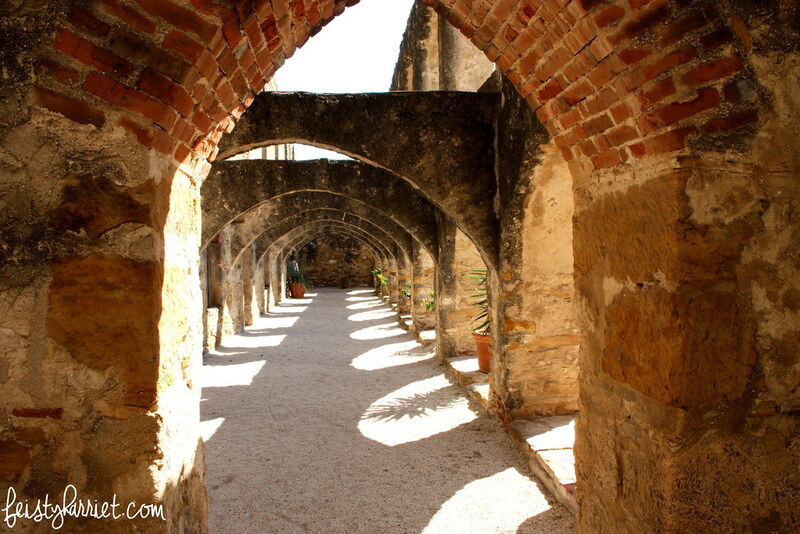 Mission San Juan (which I don’t have any photos of), was the simplest building, whitewashed and without much decoration. We poked around the dark little museum and circled the grounds, but services were taking place in the church and we didn’t want to disturb, so off we went to the final mission. 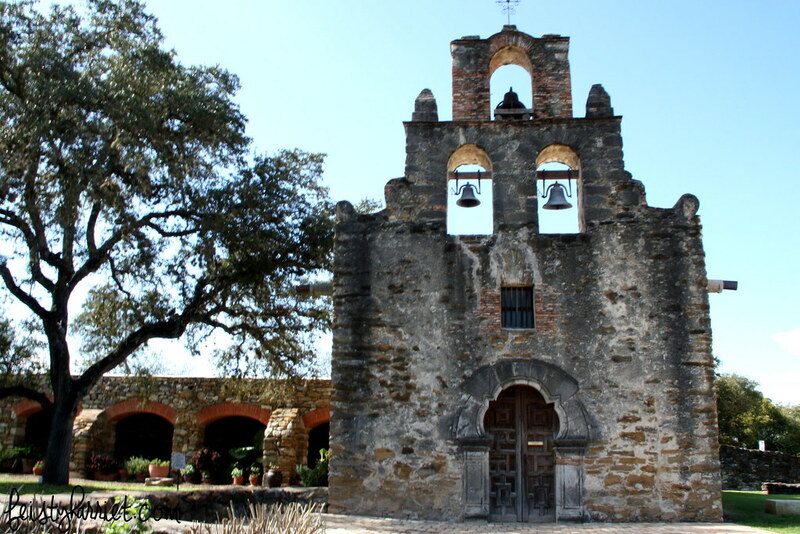 The oldest of the East Texas missions, the Espada church looks like it’s abandoned, but there is a small monastery and retreat attached where people continue to live, study, and pray. 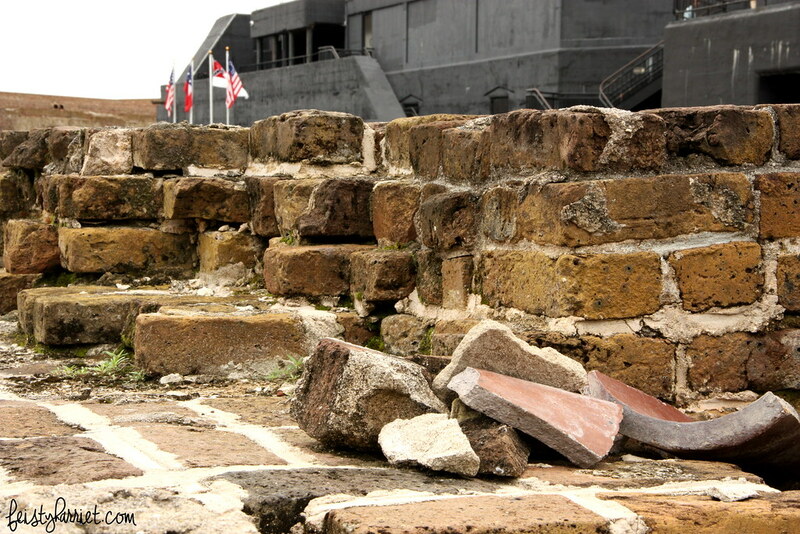 The rest of the grounds are in ruins, with stones and bricks removed for decades for other building projects. Now it’s mostly just the outlines of the walls and foundations. 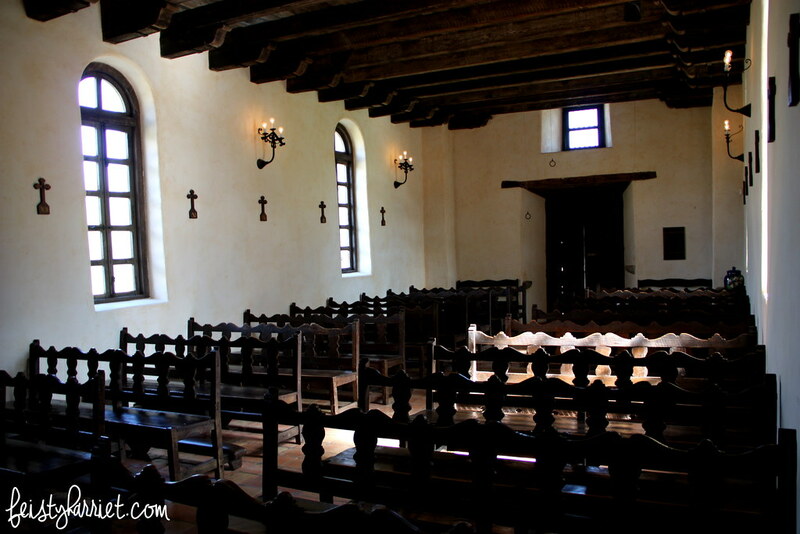 However, the chapel was empty so we were able to go in and sit for a little while, admiring the faith and dedication of these believers from hundreds of years ago, and to appreciate the service and life-work of the priests and monks who continue to run the missions in San Antonio. 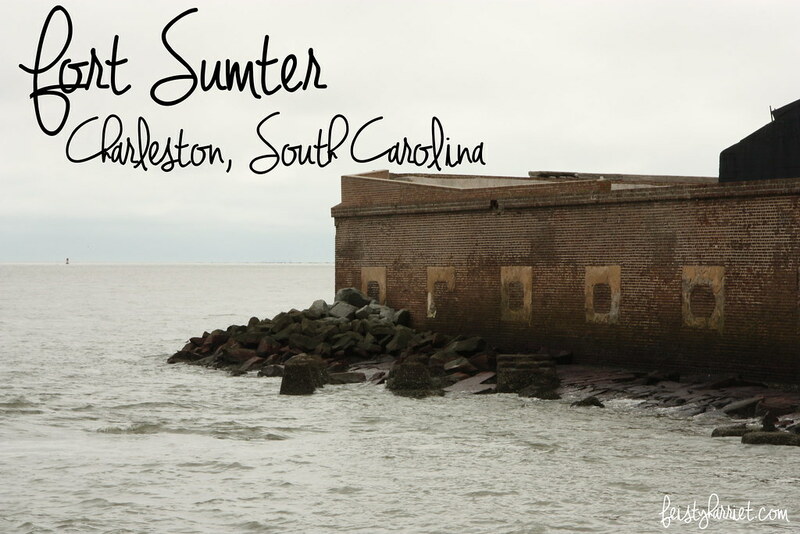 Fort Sumter, a tiny island fortress in Charleston Harbor, is the site where the Civil War began. The first shots fired in 1861 were by the Confederate army, they blasted Fort Sumter until it surrendered a day-and-a-half later. 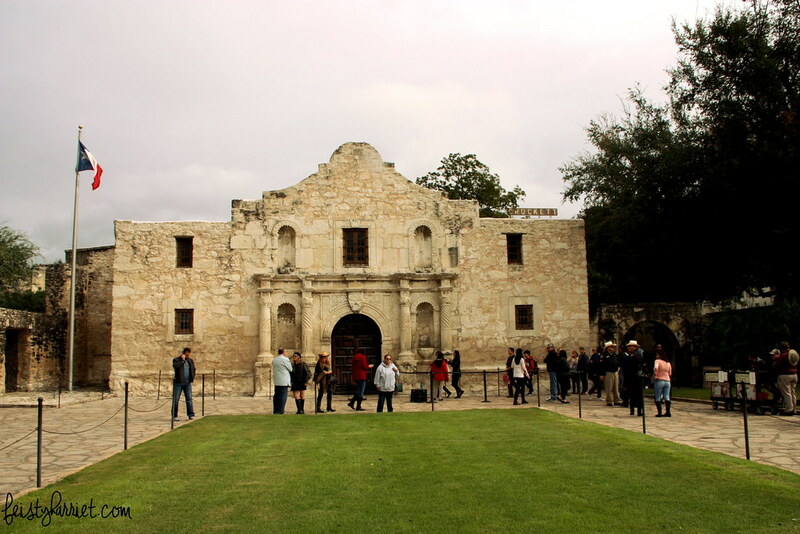 Over the next four years the fortress was reduced to rubble in battles and was not abandoned until Sherman marched his army through the South on his way to Atlanta in 1865. 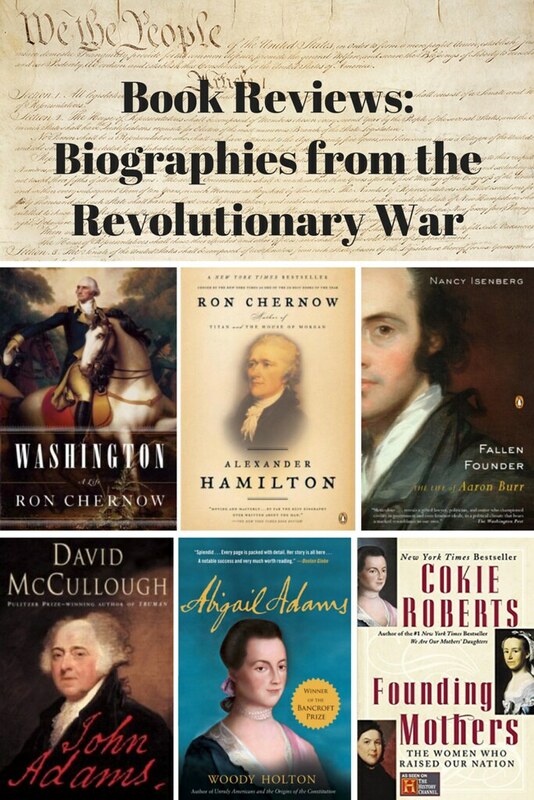 I’ve read quite a bit about the South and the Civil War, but most of my knowledge is about the war in and around Virginia and Pennsylvania, what I know about the South is mostly gleaned Gone With the Wind. 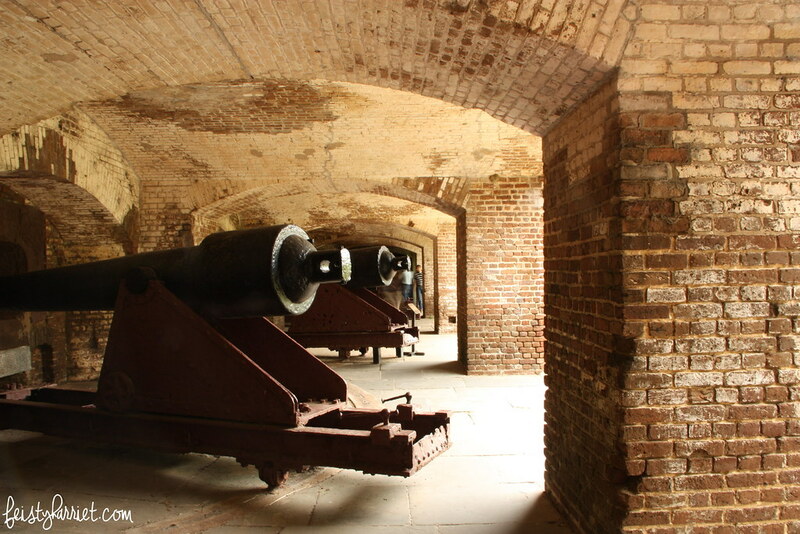 I loved being able to wander around the island, see the massive canon that were used to fire on ships, other islands, and the city of Charleston. I am still amazed at how large those guns are and their range is impressive. 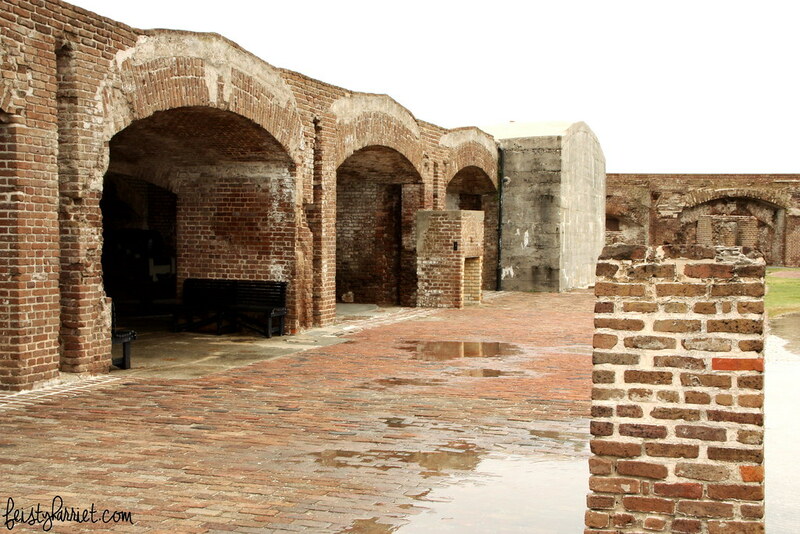 After Fort Sumter was blown to bits, it was never rebuilt. What remains is the foundations of what used to be a several-stories high building that housed troops and supplies for weeks on end. It makes the broken walls and shattered bricks all the more eerie, imagining hundreds of men living and fighting in layers on top of you. 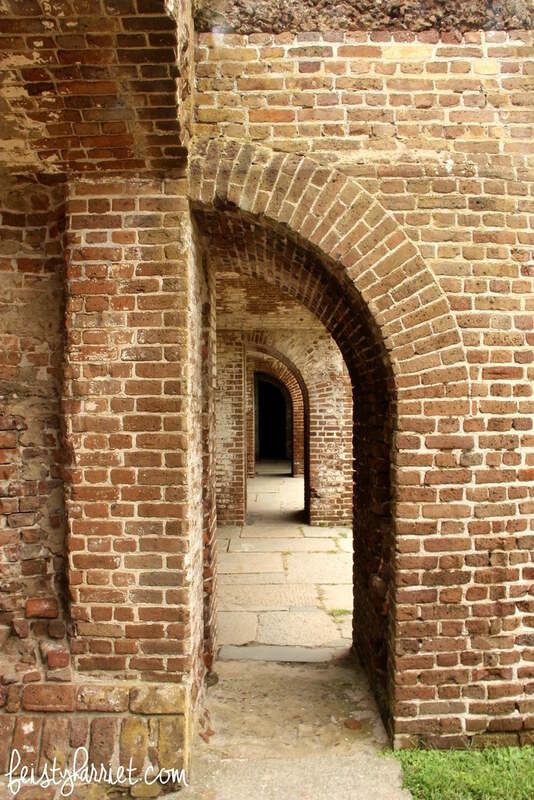 My visit at Fort Sumter was fairly short, but as there is very little to see–the whole island is really covered by the ruins of this fort and a small museum–I didn’t mind. A massive rain storm was rolling in and I was more than happy to get back on the ferry and back to (below sea-level) land before that tropical storm hit in full force. If you go, you have to buy your ferry tickets separately and probably in advance, they tend to fill up quickly via online sales, especially in peak tourist seasons.